Now here is a piece you don't find every day! 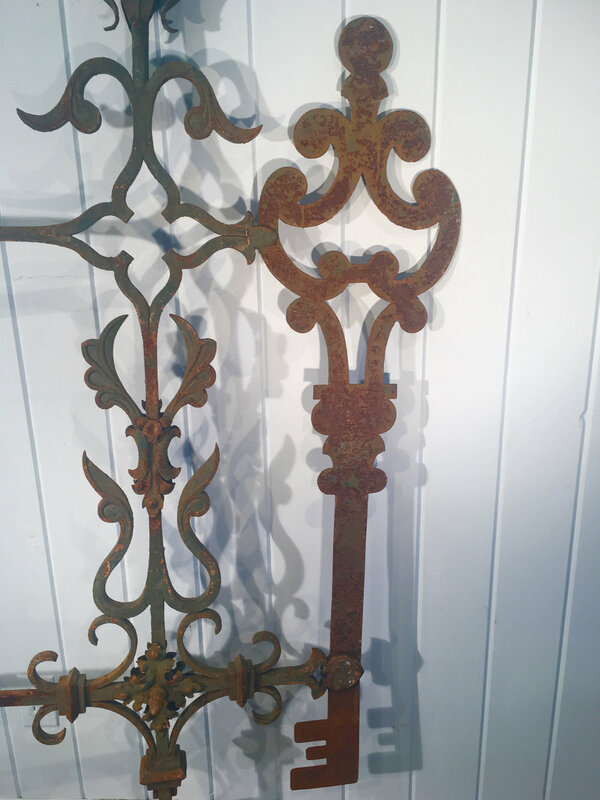 This late 18th/early 19th C wrought iron trade sign once hung outside a key maker's shop, embedded into the stone walls with the two long horizontal arms. 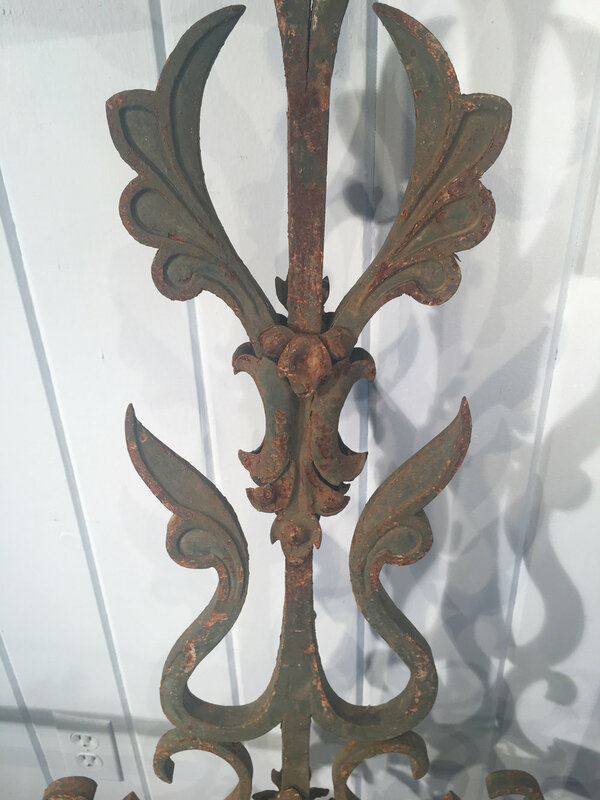 It has an outstanding patina with remnants of old dark green paint and the detailed craftsmanship is superb. It would make an exceptional decorative focal point inside or out and we can have the long arms cut if you would prefer a smaller piece. A truly fabulous piece of historical folk art!